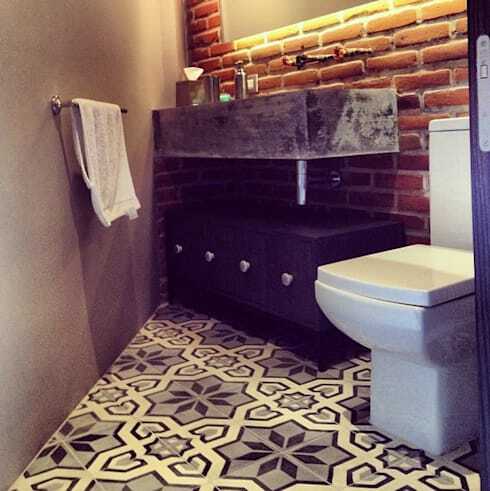 Renovating your small bathroom? It might help to wait a moment and check out just a few more bathroom styles! Bathroom renovations are—as most of our readers probably know—one of the most expensive projects around the home. Most of the changes are quite expensive to adapt later on, so it really pays to do as much homework as possible. Luckily, planning your bathroom renovation is often the most fun part of the job! So today, we're going to present 15 small bathrooms you need to see. There's plenty of inspiration here! It's all too easy to fall into the trap of making your small bathroom look clinical. Curves are always a good way to avoid this problem. 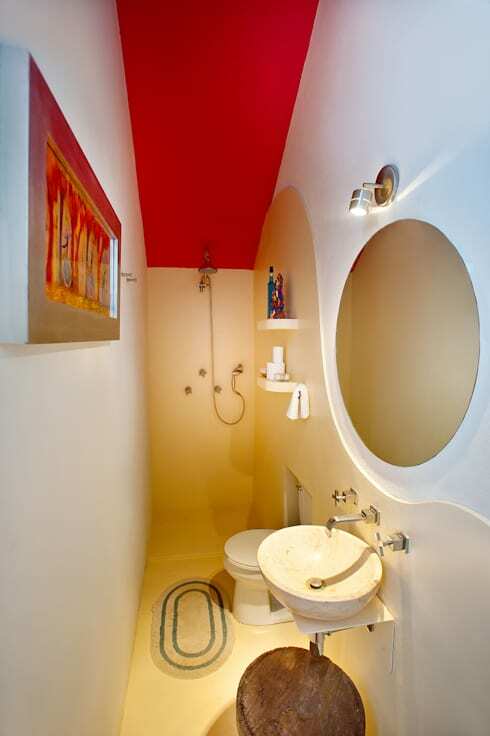 This curvy bathroom looks harmonious and tricks the eye into thinking it's big! 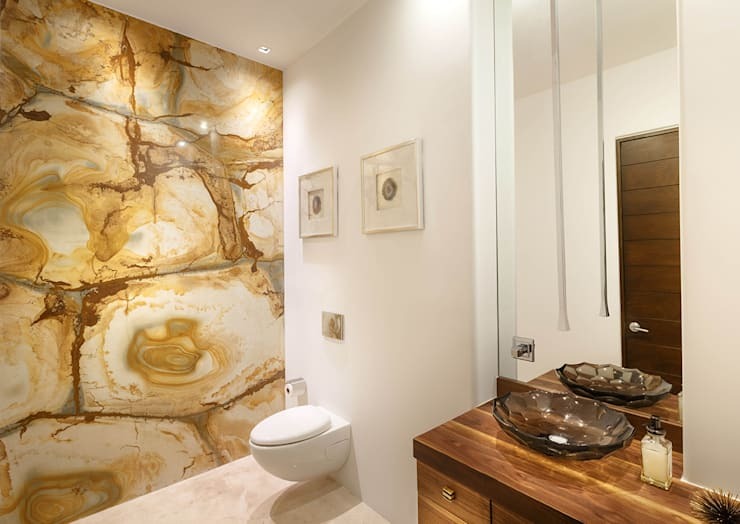 Consider the benefits of ditching a shower stall and installing a shower room. These make the most of every tiny bit of space in your small bathroom and make it look larger. Big oversized mirrors are always beneficial in a small bathroom. But take it up a notch in the planning stage by setting up a pleasing natural reflection. There's a lot to like in this small bathroom. The bathroom sink has a cool and unusual shape. Also, check out that stone feature wall! 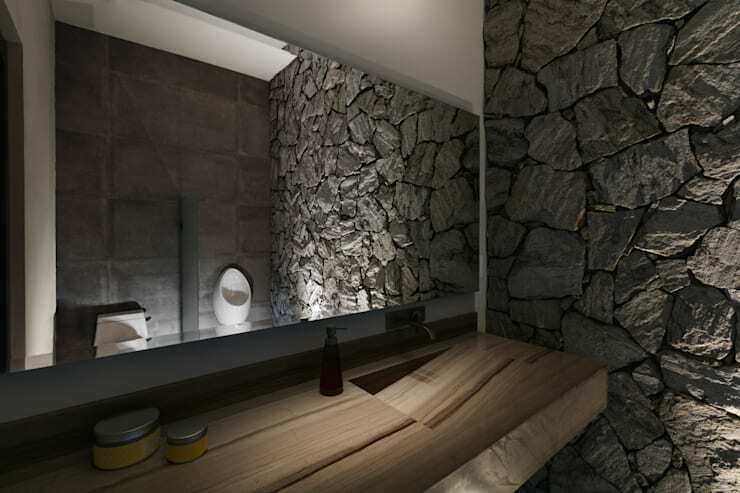 Stone is just one of those materials that will give your bathroom the feel of a spa-like retreat. 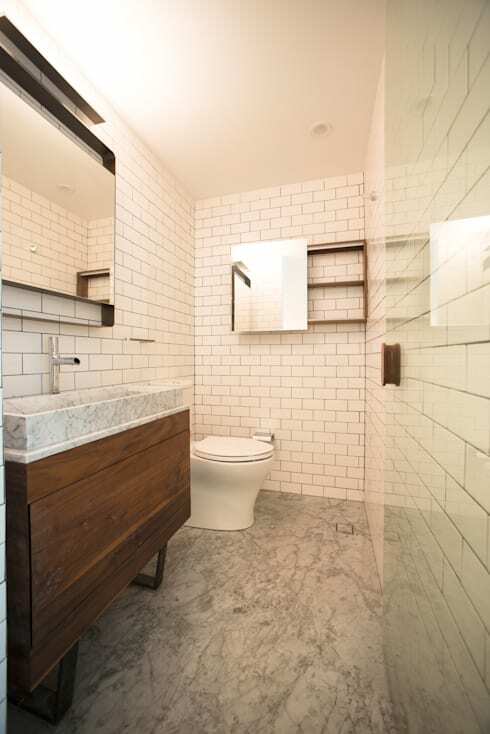 This small and windowless bathroom certainly has a lot of verve. Perhaps you could rethink your standard old bathroom sink and install something like this! We love the stone garden beneath the vanity too. 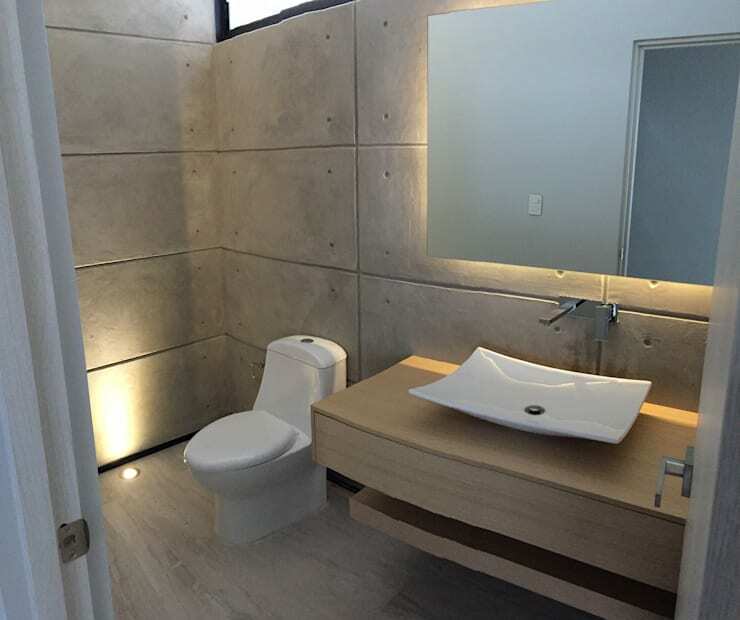 Concrete bathroom sinks are definitely trending at the moment. If you love DIY projects, there are even faux concrete finishes you can use to dress up a more standard-sized unit. 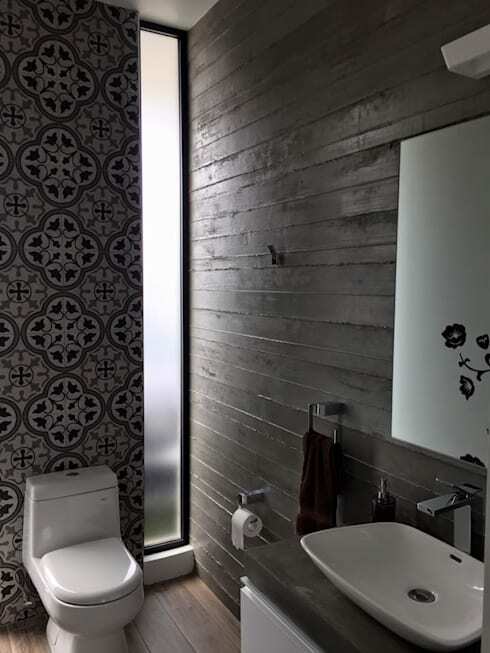 This bathroom shows how the simplest bathroom wall treatments can really come alive with quality materials. The gorgeous stone wall certainly adds a luxurious touch. Wood is just one of those materials that can be troublesome in the bathroom. Good ventilation is absolutely essential. But if you get it right—it adds an incredibly cosy touch. In a small bathroom, it always pays to keep things simple. This Scandinavian-style bathroom has a shower room with a transparent wall. 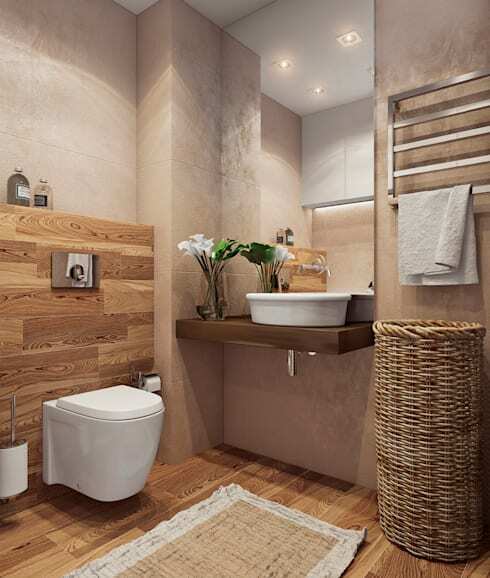 It makes this small bathroom feel fresh, clean and inviting. 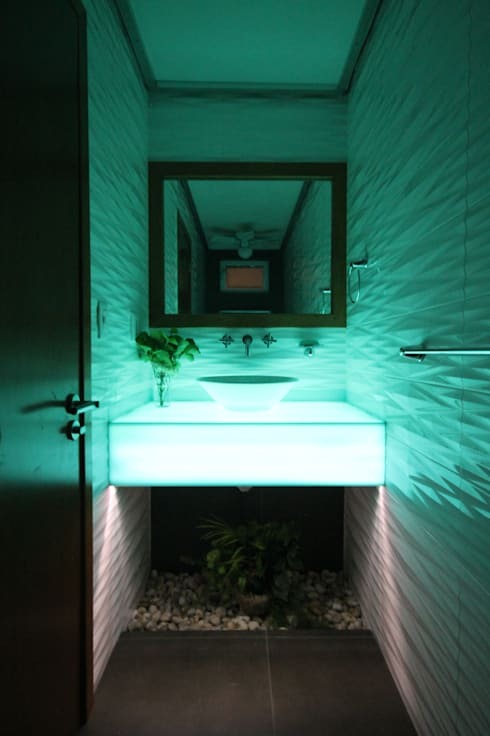 Bathroom lighting has come a long way in recent years. We love the recessed lights behind this mirror. Check out the floor lights as well. Small bathrooms often have small windows - if at all. So it often pays to get a bit more creative with the window shape. Perhaps there is space for a very high or low set window panel. Perhaps you could even fit an elongated window in an awkward corner like this. If you love the ambience of a classic old bathroom, but the fiddly or fussy detailing might make you bathroom feel small, perhaps you could choose a modern classic style. 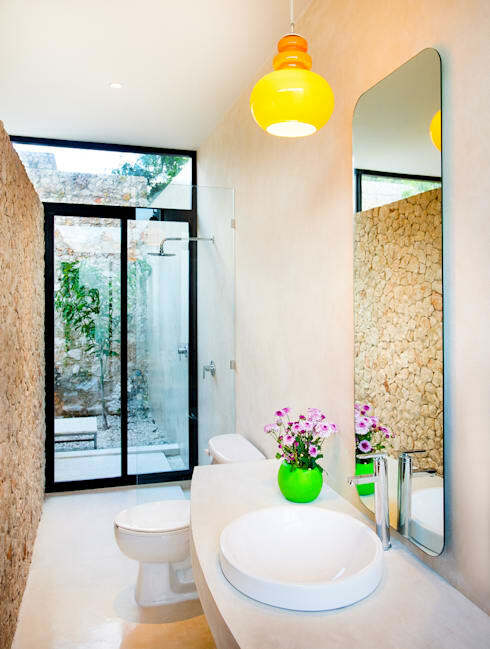 This small bathroom has a bright feel that ticks all the boxes. 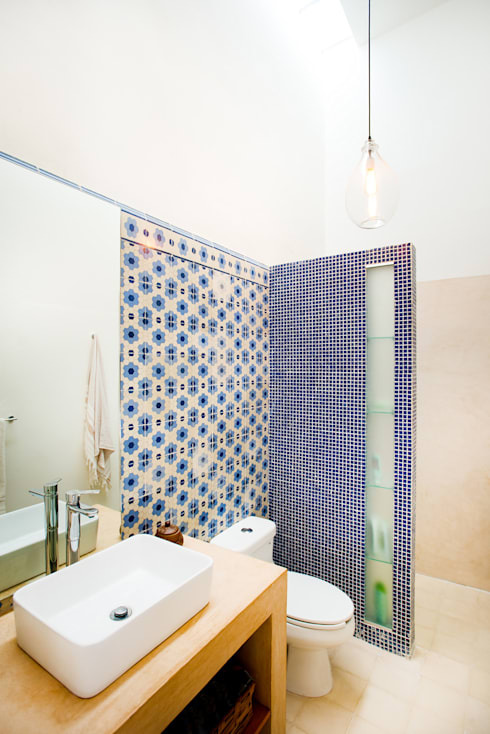 It's always good to avoid a cluttered look in any room—particularly a small bathroom. But if you whittle down the colour palette to black and white, this creates a little visual space to play with more patterns. 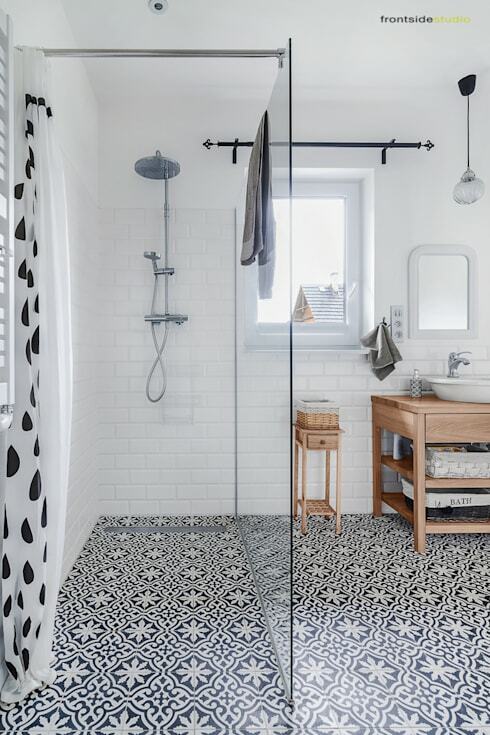 Check out the monochrome floor tiles in this awesome little bathroom! Building out the wall just a fraction will create a wraparound shelf. Sure, this eats into your floor space, but it's also one of the most streamlined ways to create extra storage and display space. For this kind of thing, it really helps to consult a bathroom designer. 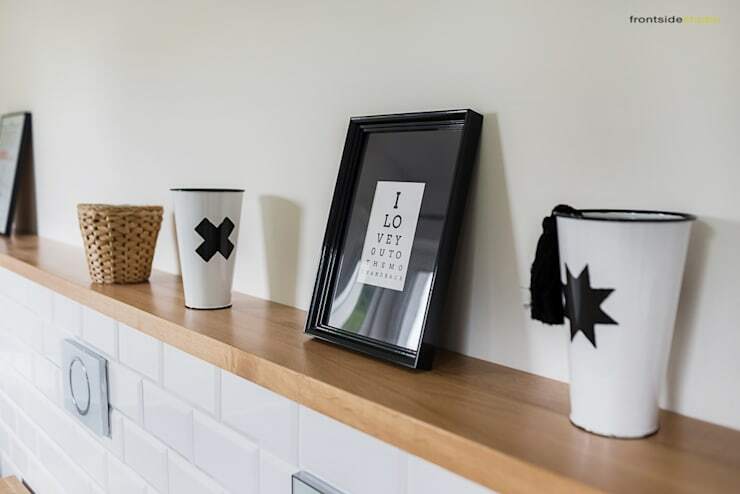 If you want to reserve the option to style up your small bathroom at any time, perhaps it's best to avoid tiling one wall altogether. Instead, you might play around with some fabulous wallpaper designs! While you are hit by the renovating fever, perhaps it's time to hit the kitchen. Check out How to revamp your kitchen on a tiny budget. Which of these awesome little bathrooms is your favourite?